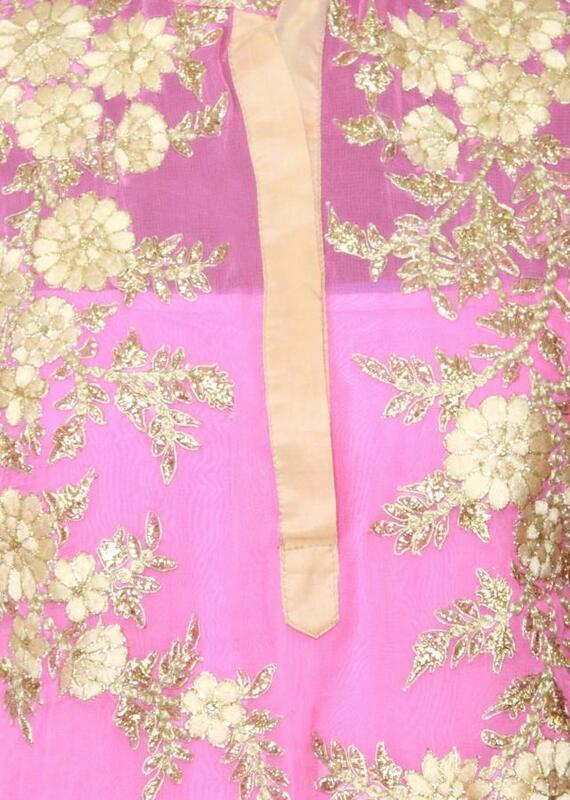 Featuring a georgette baby pink straight cut semi-stitched salwar-kameez. Bodice is embellished in floral embroidery. The neckline has a deep opening with attached embellished chinese collar. Placket is in beige georgette silk. 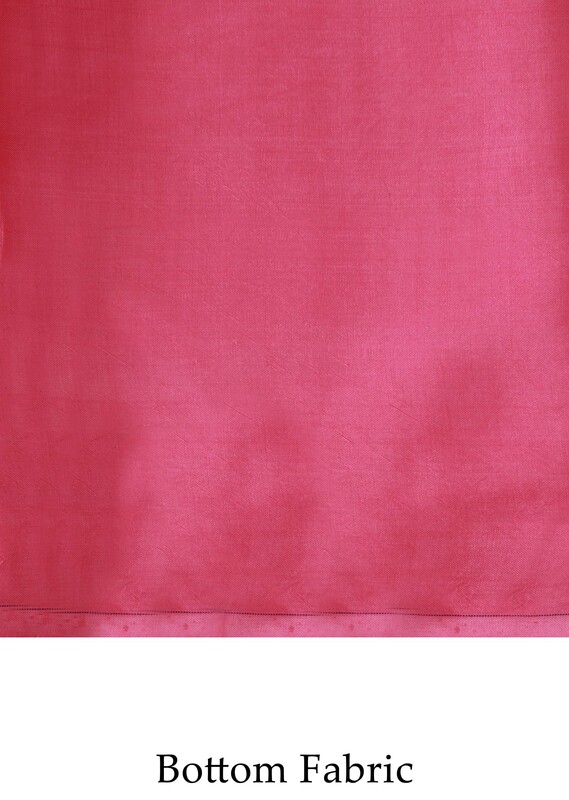 Dupatta in baby pink georgette with beige georgette silk border.